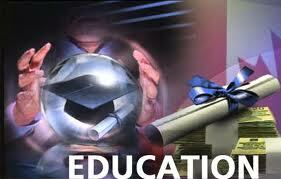 The economic well being of America and Americans is dependent on education. But not just any education – the worlds doesn’t need “Women’s Studies” majors or those who wanna spend 4 years investigating “Migration Art of the 4th Century”. Indeed, such degrees might have some value in a “education for education” sense, but practitioners of such majors should walk in eyes wide open – employment opportunities are going to be few and far between for such majors. And on top of that, the salaries are going to be smaller than the harder sciences. The U.S. economy is strengthening, adding an average of 208,000 jobs a month over the past six months. And education has been a dividing line in the recovery. While well over two million jobs have been added in the past year for workers with at least some college education, for workers with a high school degree or less, more than half a million jobs have been lost. “We’re hiring scientists, engineers, people with deep mathematical backgrounds,” Mehren says. Wanna job that pays? Study math, engineering and computers. Wanna hobby? Go to school for a soft science and take pleasure in the knowledge that you know a lot about your hobby. This entry was posted in Economics, Education and tagged Liberal Arts, math, Science, STEM. Bookmark the permalink.